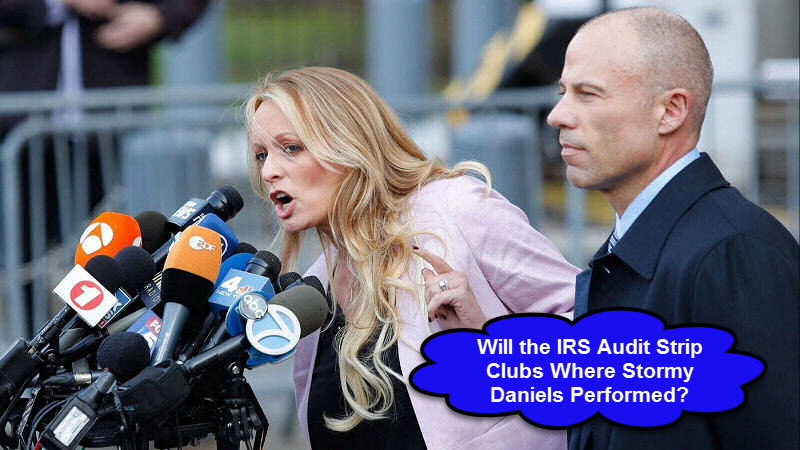 Yesterday it was revealed Stormy Daniels attorney defaulted on a huge IRS payment. According to this-article Michael Avenatti’s law-firm withheld $1.3 MILLION in payroll taxes from employees then failed to pay the IRS. Ouch! So the question remains, who is funding his legal battle with President Donald Trump? Stormy Daniels surly cant afford to fund a lawsuit of this size. Maybe Avenatti took Daniels case on contingency. Maybe the crap he stirred up was hoped to be a big payoff to settle his HUGE debt with the IRS and others. Shaking down president Donald Trump may have dire consequences. The decision was the latest black eye for Avenatti, who achieved notoriety for representing adult film star Stormy Daniels. AKA Stephanie Clifford in her fight against a confidentiality agreement. The agreement preventing her from discussing an alleged 2006 sexual encounter with Donald Trump. On a personal level, Avenatti’s wife told Fox News last week she wants a divorce. She pointed out his extravagant, big-money lifestyle. Michael Avenatti is facing questions over how he obtained bank records belonging to Trump’s personal attorney, Michael Cohen. Personally I feel Donald Trump will get even for the crap stirred up by Stormy Daniels and her flashy attorney. Does Stephanie Clifford file and pay taxes? Did she pay Income Tax on the $130,000 hush money payment? If she didn’t file taxes or pay her share of the hush (extortion) payment she’s in trouble. If she does file and pay taxes, the IRS could go through her W2’s and W9’s then audit her employers. Either way Daniels will lose! We’ll have to sit back and watch the show to find out. I wouldn’t bet against president Donald Trump with his successful track record Making America Great Again. Gotta vote Republican this November! Get those Loonies Outta Here!